I want to reverse the usual mapping of Alt and Start; Alt should map to Option and Start to should map to Command. But I only want to do this for my external keyboard. 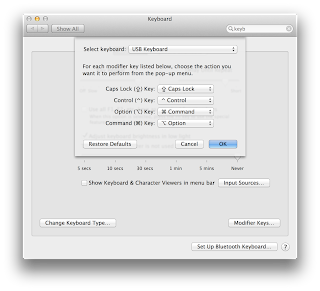 Go to System Preferences and look at the Keyboard settings. Click the Modifier Keys button. 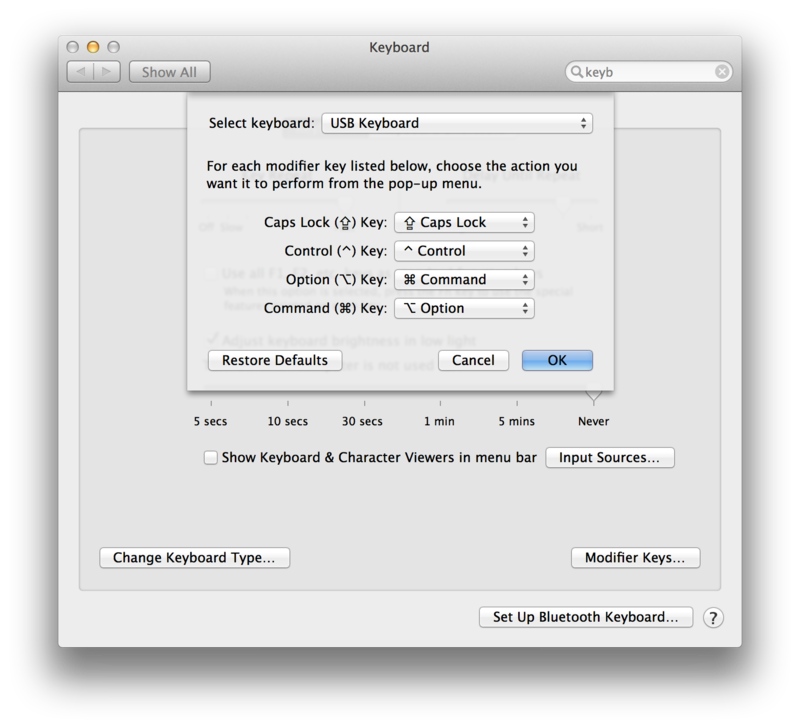 Then choose USB Keyboard and reverse the Command and Option mappings.